Let me get a couple of things off my chest. First; I now am stopping at red lights. I have been doing this for about a month. I know, I know, some of you may be shocked. But bicycling in cities has become more established, and to get the respect of motorists, we do have to start obeying at least some of the rules. I do draw the line at stop signs; anyone who expects bicyclists to come to a complete stop at every stop sign obviously has never ridden a bicycle. Whoever designs many of the bicycle paths is also frequently clueless. The idea of signs telling bicyclists that they should dismount and walk their bicycle at intersections is ridiculous. The very pleasant Mount Vernon trail south of Washington DC is full of these dismount signs. On a crowded Labor Day I saw no one comply with this request, ever. Which is as it should be. But the stopping at red light thing comes with a cost, brought on by urban bicycling’s increased popularity. I feel like what artists who lived in Manhattan in the seventies must have felt about gentrification. Having to sit at red lights takes some of the freedom out of bicycling, and adds a level of stress. Because it is no longer the Wild West, while sitting at a red light in the sun, we start to feel a twinge of normalcy that is certainly annoying. Which brings me to public transit. Near the end of my journey, on Labor Day with my bicycle, I took the Washington Metro from just west of Rockville, Maryland to just south of Alexandria, Virginia; a distance of about thirty miles. It took almost two hours. And it was fine; the Washington Metro is an excellent subway system. It got me out of the heat, and bridged a gap that helped me finish the return bike ride in just one day. But if I had to do the transit thing every day, I would probably go nuts. It would not take me much more than two hours to do the thirty miles on a bicycle, and the difference between levels of stress would be dramatic. On a bicycle you are still free. Isn’t that the American way? The ride in question here seemed somewhat ridiculous; ride across much of the Washington DC metro area, including suburbs, in the summer heat; all the way to Frederick, Maryland. And back (aided by transit!). The first day was the Saturday of Labor Day Weekend. I left late from Chapel Hill because Dan had come over to sing songs with me in the Greenbridge stairwell. Leaving Chapel Hill just before lunch, I arrived in Northern Virginia later in the afternoon. I parked the car in a grocery store parking lot on highway US 1, in a “mixed income” neighborhood just south of Mount Vernon, Virginia. I biked off into the heat, hoping against hope that this rental car would still be there forty eight hours later. The Mount Vernon trail is indeed a nice way to go. It is a scenic paved path along the Potomac River for about eighteen miles, from south of the Mount Vernon estate, through Old Town Alexandria, and across the river to downtown D.C. As it passes by National Airport ( I refuse to use that Ronald R***** name) families gather by the bike path in a park by the river, watching the planes take off and land. Sometime between six and seven I pulled up to a random bar of an expensive hotel near the Washington Monument, and ordered an IPA. While drinking, I looked at low cost hotels dot com on my phone. Washington hotels do seems really cheap on the weekends. The hotel I found was only about ten minutes away by bike, near the Convention Center. After showering and changing clothes, I ate at the bar of Zaytinya, on Ninth street. Dinner that night cost a good percentage of the price of the hotel room, but was really delicious. The restaurant has Turkish slash Greek slash Lebanese food, run by a locally famous restauranteur who comes from Spain. The dishes are small and called Mezze (not, interestingly, Tapas.) I had stuffed eggplant, grilled octopus, and these little lentil pancakes, accompanied by Greek white wine. I started talking to some people at the bar, one of whom lived in Carrboro. The next morning, Sunday, the streets of Washington were quiet, and the humidity was already intense. Luckily much of the day was cloudy, which did cut the heat a bit. I really enjoyed biking through the streets of Northwest Washington, seeing the embassies and the National Cathedral. 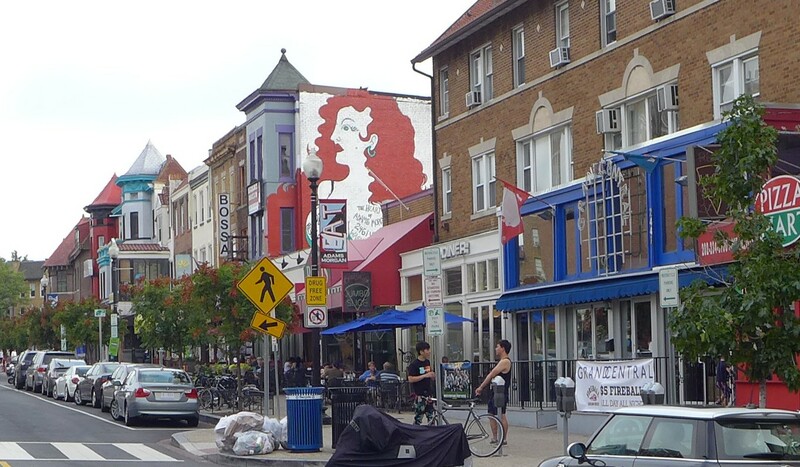 Adams Morgan in Northwest Washington , which had previously been a near slum, is now a hipster area. Shortly after that, I got on the Capital Crescent Trail; a former railroad line that runs all the way to the suburb of Bethesda. The Washington area is growing like gangbusters. Suburban sprawl is inevitable. Maryland suburbs have been somewhat the national model on their efforts to encourage density around mass transit (subway) stops, and to preserve open space and farmland. Downtown Bethesda looks like a really big city, in some ways more urban feeling even than downtown D.C. 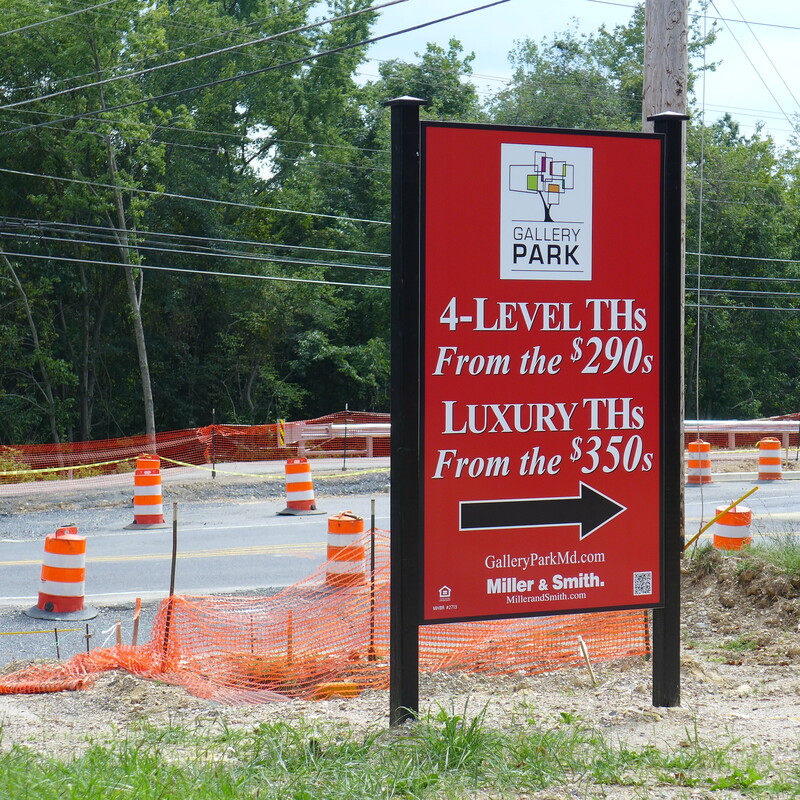 It and the other Maryland suburbs are not all that nice, or somewhere I would prefer to live, but at least they are making an effort to establish some kind of valid urbanism. From downtown Bethesda, there is another “rail to trail” that goes about ten miles towards Rockville. 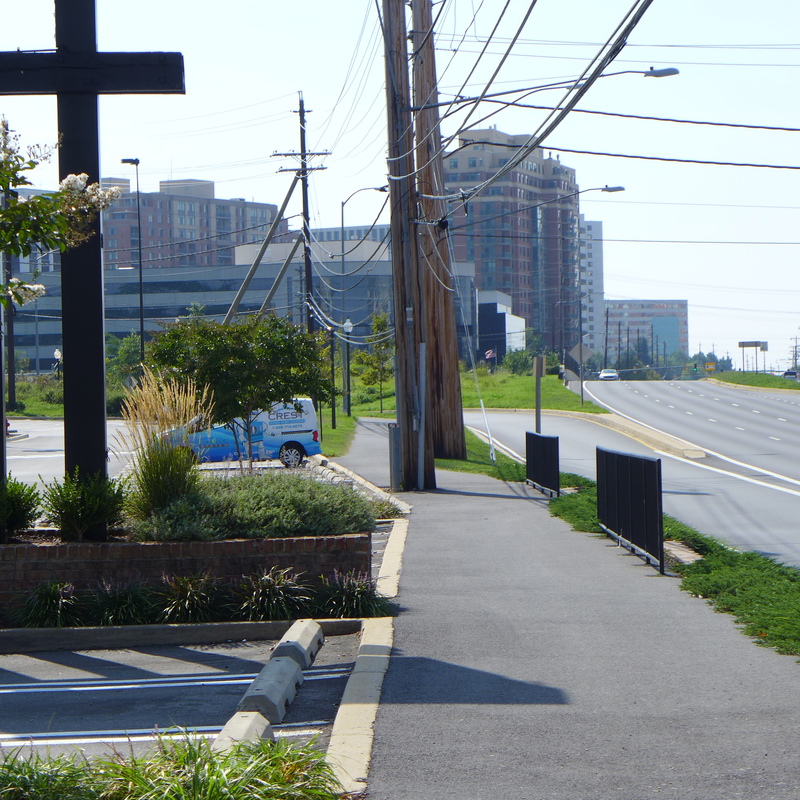 For the last few miles I ended up cycling down Rockville Pike, a huge six lane highway lined with strip malls and car dealers. 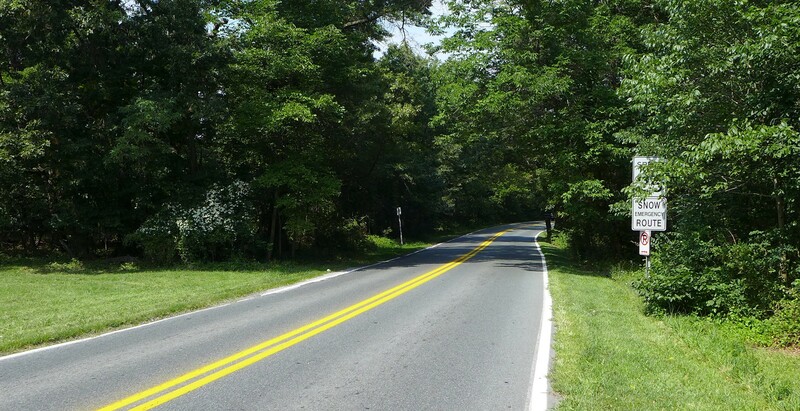 On this road, and most of the other Maryland divided highways I saw, while not exactly pleasant, there was always a sidewalk or bike path, and I never felt in actual danger. My day’s destination of Frederick, Maryland was over fifty miles from downtown D.C. 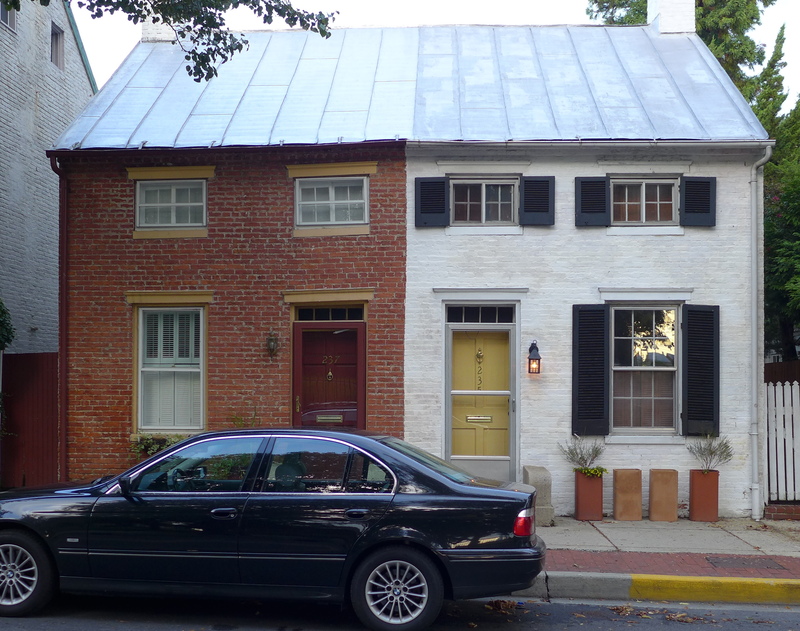 I made a game of seeing how far out from D.C. the suburbs continued. They definitely go as far as Clarksburg, which is thirty-something miles to downtown. After Clarksburg, the area becomes suddenly rural, and it is really quite beautiful for ten or fifteen miles. The main highway paralleling the interstate turns into an almost peaceful two lane road. Seven miles before Frederick, you suddenly enter what Tom Constantine calls a faux-ville, the Villages of Urbana. My brother Alex’s first book was partly about this New Urbanism, criticizing these developments as faux-urbanism; housing developments claiming to be actual towns. This one was at least tastefully done. It had the state highway go right through the middle of it, with townhouses brought right to the highway. 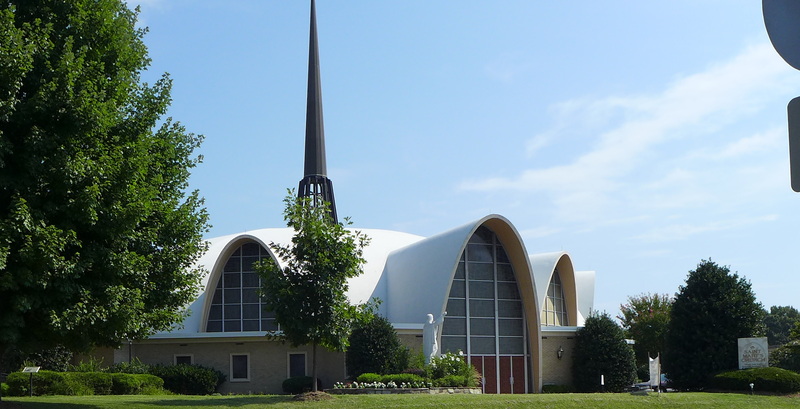 In contrast to North Carolina, where there would have been continuous sprawl, west of Urbana the land becomes immediately rural again, all the way to within a couple of miles of downtown Frederick, where the strip malls begin. Just as I entered this strip mall zone on the outskirts of Frederick, it started to thunderstorm. With perfect timing, I ducked into the bar of an Uno Pizzeria which swam in the huge parking lot of a Home Depot. It gave me a place to drink beer, wait out the storm, and find a place to sleep in Frederick. 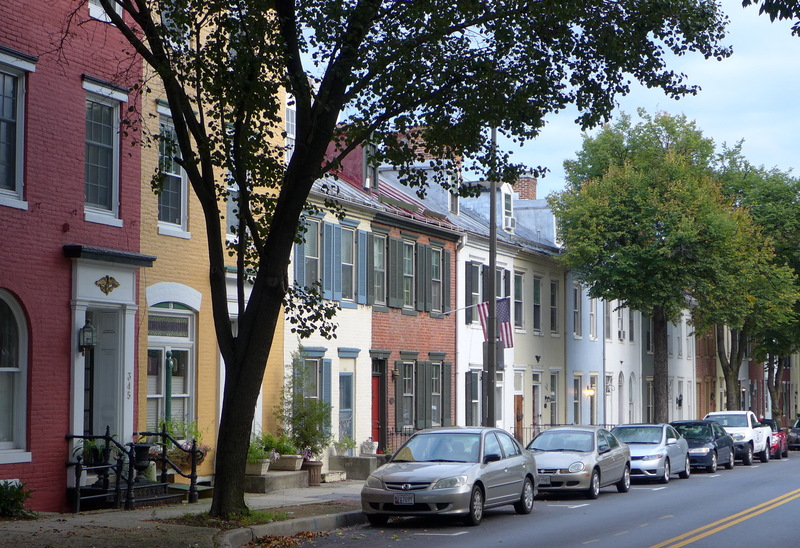 I would not call Frederick a trendy place, but it is a beautiful historic town with a lot of nice restaurants. I went cheaper this night, and ate at an old school Italian place, where opera plays in the background, and the side salad is made with iceberg lettuce. The next day I biked about thirty miles back towards Rockville, where I caught the Metro through downtown DC to Northern Virginia. I then bicycled the ten or fifteen miles back to the car I had left in the grocery store parking lot. It was still there. Thanks Cindy; you are my best fan. Also, I would never have done this without instructions from Dan.